Occupying the desired front position in a boutique block of well maintained units, this spacious single level residence offers exceptionally sized rooms whilst providing north facing garden outlooks to create a purely delightful property. Open plan living and dining room is accompanied by kitchen which includes gas cooking plus ample bench and cupboard space. Two well proportioned bedrooms (main with built in robes) are serviced by main bathroom which has the added bonus of laundry facilities. 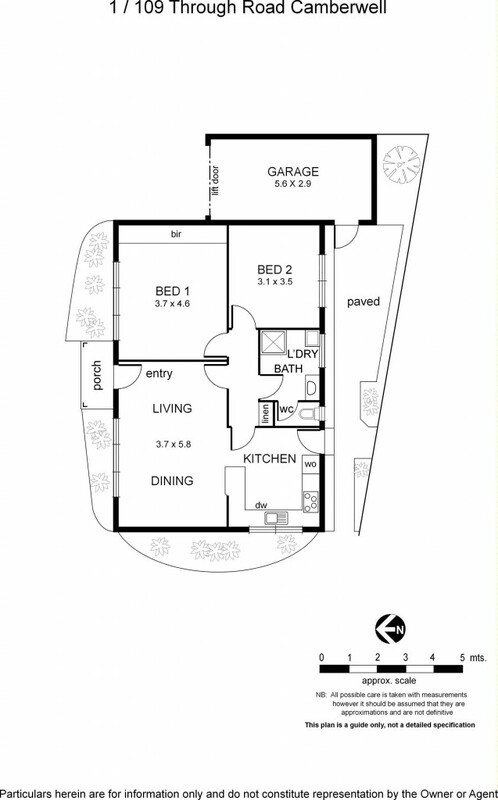 Large lock up garage and use of front gardens and outdoor courtyard areas allow for a relaxed lifestyle. Adjacent to Through Road Reserve and within walking distance of cafes, Riversdale Road tram and shops plus easy access to quality schooling, train station and Camberwell Junction.